We live in an amazing state when it comes to wine, and I have a prediction that will help prove this declaration. 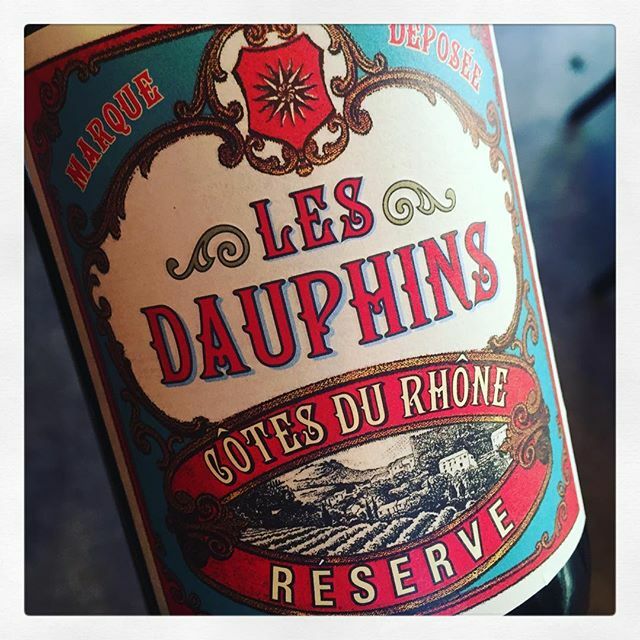 I’ll bet you’ve never before seen the Les Dauphins Côtes du Rhône, pictured here. It recently landed in Minnesota for the first time. It has some presence on the east coast, but none in our neck of the woods or most places west of here. I don’t think a single restaurant or retailer in the Twin Cities has it, yet. My prediction? You will soon see it at all the right places. Note I didn’t say you’ll see it everywhere. Here’s the story I want to tell you … the story of how a wine like this gets from point A (no presence in Minnesota) to point B (in your glass at your favorite local chef-driven bistro, or available through a great local wine shop). The story starts in late 2014, when the owner/buyer of a local wine importer notices a hole in the market for fresh, clean, bright and “correct” Cotes du Rhone (her term … meaning something with purity and typicity, Grenache based and packed with freshness and ripeness). All the wines in that price and style category are big brand producers carried by larger national importers handled by larger national distributors, and in her opinion not as good as they could be. She wants something to compete with, and more importantly bring to our local restaurant scene, many of whom (wisely) avoid the big brand names. So she travels to Europe (in this case the 2015 Prowein convention in Germany), speaks with a ton of suppliers, tastes hundreds of wines, then finds this one. Papers get signed, orders get placed, and recently a refrigerated container carrying hundreds of cases made its way to our state. These established smaller distributor/importers (here are four such examples of companies I like and track what they are up to: 1, 2, 3, 4 … there are many others as well) tend to have deep connections and relationships with the best restaurants and top sommeliers in town. Thus, when a wine like this arrives, it tends to get shown right away to the absolute top level of our local restaurants (think Meritage, Alma, Spoon & Stable, Bachelor Farmer, Tilia, St. Genevieve, Corner Table, Heartland, etc. ), who might very well put it on their by the glass list. This is the inverse of what many larger distributors do, who tend to bring new products firstly to the large retailers with the hope of the “big drop.” Of course there are exceptions, but I’ve seen this happen predictably for twenty years now. Then one of our great local wine retailers might be out for a bite to eat. Maybe it’s Mike Thomas from Thomas Liquors, or Chuck Kanski from Solo Vino, or Mitch Zavada from South Lyndale. It could be any one of about five dozen great wine people from our local wine shops. They order a glass, they taste how good it is, note the importers name, and they order it in. Before you know it, the wine has landed at the retailers we love and should support the most: the ones that actually try the wine, the ones that have relationships going way back with locally owned suppliers they know well and trust. These are the stores and restaurants that have earned all the buzz and the attention they are getting. 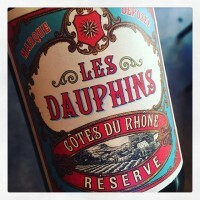 It’s wines like the Les Dauphins Côtes du Rhône, and many others like it from a variety of suppliers and importers, that are a barometer for our local wine scene. Will this wine ever land in the bigger stores? Quite possibly. They watch what the little stores do like a a hawk and often use the fine wine shop’s “New! We just found this! Can’t find it anywhere else!” displays to drive some buying decisions. It’s a dog eat dog world out there. Also, this winery is not a small farm on three hectares run by idealistic bearded millennial biodynamic farmers. It’s actually a very large co-op (of which there are many in the Southern Rhone) churning out tens of thousands of cases. But in the end, of course, it has to taste good. And this one does. Grenache based, concrete tank fermented, fresh and clean as the first picked-off-the-bush raspberries of summer. It has an acid streak that is spectacular, making your mouth re-salivate and want more. And it’s totally affordable. When you see it, buy it and let me know if you agree. So when you walk into a local shop and see the staff tasting a dozen wines with a wine rep, then you look around and see stacks of wine that you have never seen before, keep in mind that this work (and it is work) is not only done for business purposes, but also because of a determination by smaller importers, wholesalers, retailers, and restaurants to give you something distinctive to brag about to your friends. Especially if those friends live a state that doesn’t have people seeking out the “new and awesome” for you on a regular basis. 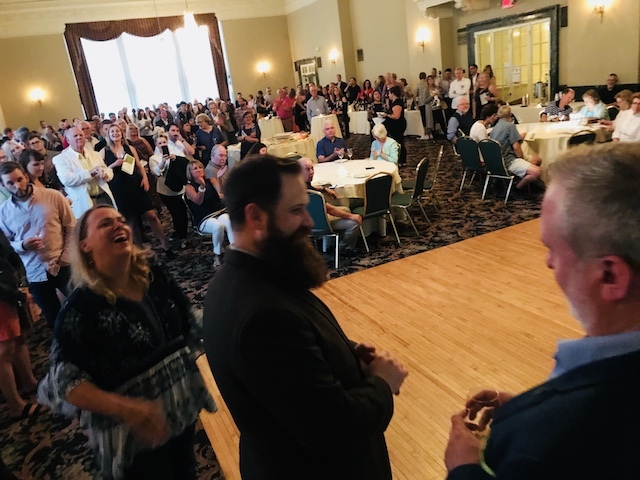 Minnesota is a great place to be a wine consumer, and this story is but one example. More on this topic in the near future.